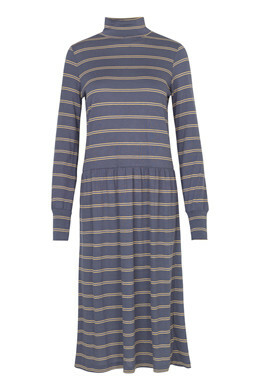 Comfortable stripy dress with long sleeves. 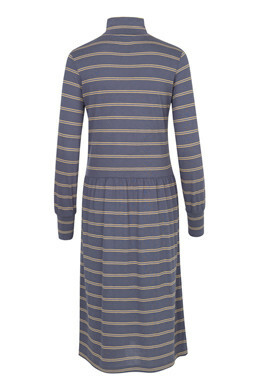 The dress has a high neck and is knee length. Wear it with one of this season's many knits and a pair of leggings.